Whew! I spent my morning driving all over the place and ended up going to 7 estate sales today! It's an exhausting endeavor, but I'm more than happy to do it! So since I've eaten up so much of the day, my time is a bit limited- so I'll try to keep this brief and just give you an overall rundown of the estate sales that started today. All of them continue thru at least tomorrow (Saturday) and most of them end on Sunday. 1. 3676 Asbury- This one was mainly women's clothing, ranging from a really cool Betsy Johnson long embroidered coat to odd granny clothes. Oh, and lots of minks and various furs. A few other things too, but that was the overwhelming, obvious thing for sale. 2. 9646 Hilldale- This one was pretty big, and pretty crowded. Lots of different things- so maybe something for everyone. There was a little costume jewelry, most all of it was junky and all marked for the same low price. Most of it was overpriced, even at just a couple of bucks. 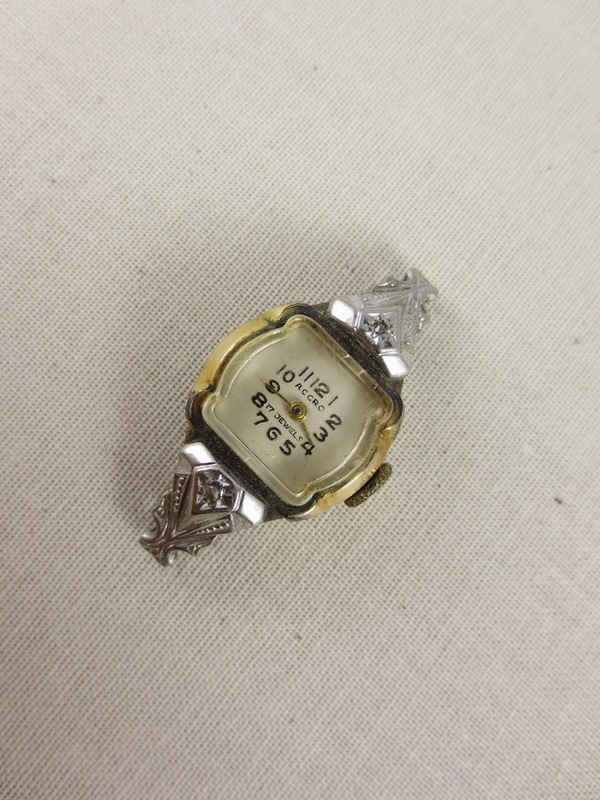 But I found a pretty vintage watch face that I just loved! But to stand in line about 20 people deep for just one teeny item seemed a little ridiculous. But of course, I did it! Totally worth it!! vintage watch face to be used for repurposing soon! 3. 914 Edgewood- I could have skipped this one full of junky junk and moldy shoes. Ew. 4. 3741 Pallos Verdas- The main thing I remember about this one is LOTS of rubber stamps, but all priced at $4.50, which doesn't seem like that great of a deal to me. But I'm no expert in the world of rubber stamps. Also, quite a bit of doll house furniture. I don't see that too often. 5. 4327 Mendenhall Dr.- This one was pretty small. Some older/vintage stuff. Nice people ran it. I have no idea what this hook thing is, but I thought it was pretty, and it was only $2 so I grabbed it. I'll find something to hang on it. Does anyone know what it's suppose to be use for?! I'd love to know it's real purpose. 6. 4434 Gloster- This house is in Preston Hollow, and is going to be torn down. So all the contents of the house, plus everything else (sinks, light fixtures, cabinets, etc.) is for sale. Some of it was overpriced on Day 1, but some wasn't. And it will be much better once mark downs start happening tomorrow. 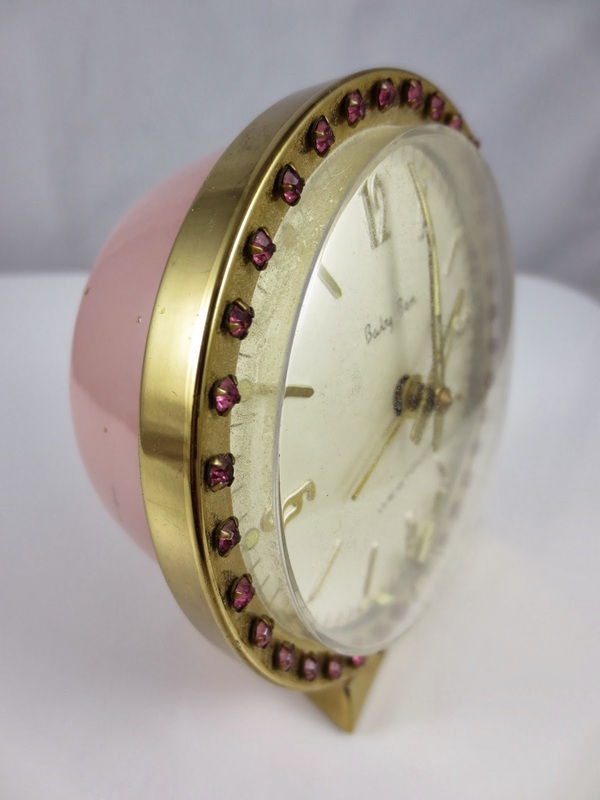 I did find this adorable pink vintage clock with no tag on it. I got it for $6, which was a super great price. 7. 833 Sylvania- Overpriced crap. Just my opinion. So that's it. I went to 7 estate sales, and came home with 3 items. But they are items I love, and I had a great morning. Always fun to look, to see the inside of houses, and to meet some nice people along the way.